Soldiers Field Road runs along the south bank of the Charles River, essentially the westward continuation of Storrow Drive. 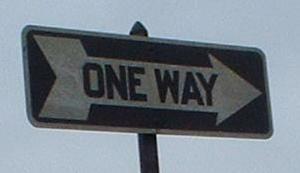 Western Ave. intersects it twice, because Western runs east-west while Soldiers Field Rd. follows the curve of the river in a loop. This is a standard wooden green sign, good font, right background color. 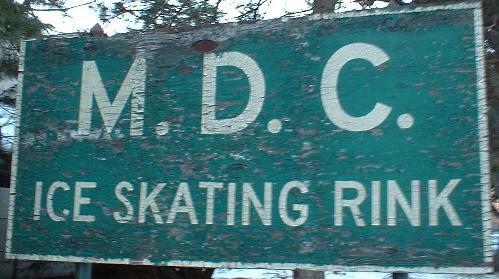 How come they can get their rink signage right but not any of their other signage? Anyway, this is actually on Nonantum Road, essentially the westward continuation of Soldiers Field Road (after a block of sharing traffic with US 20), which carries traffic into Newton from Cambridge and western Boston. 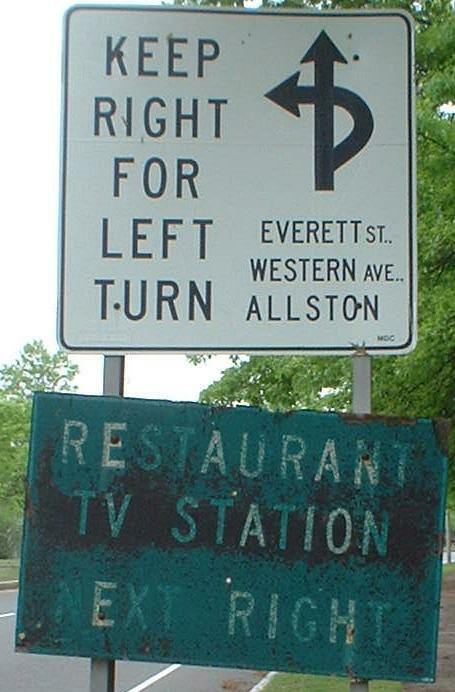 Very old button copy advance sign for Arsenal St, EB at the beginning of Soldiers Field Road. It matches signs found at US 3 and MA 2 at Mt. Auburn Avenue, as well as the famous Storrow Drive REVERSE CURVE sign (follow link at bottom of page). 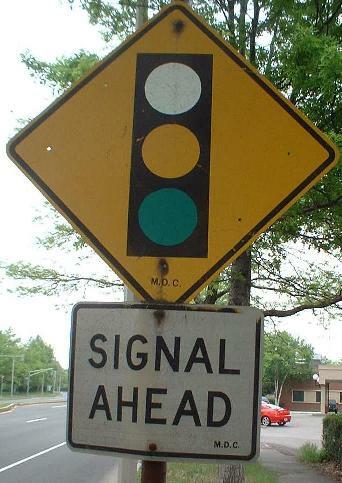 These match the one-way signs at Memorial Drive and the Longfellow Bridge (MA 3) (follow the link for the signs); the old age of this one and others at Western Avenue/Arsenal St. is believable, as they don't say MDC and aren't shiny. WB and EB respectively on Western Avenue, which is about to turn into Arsenal Street in Watertown. These represent MDC's attempt to replicate older Mass D.P.W. arrow-through-number signage. Hey, MDC, you failed. 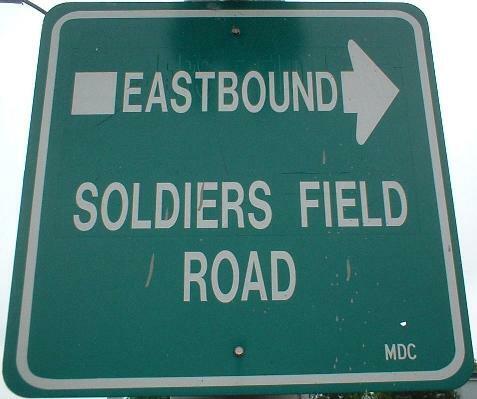 By the way, the EB sign (the onramp is a tight loop) is patched over "SOLDIERS FIELD RD." "BOSTON →". 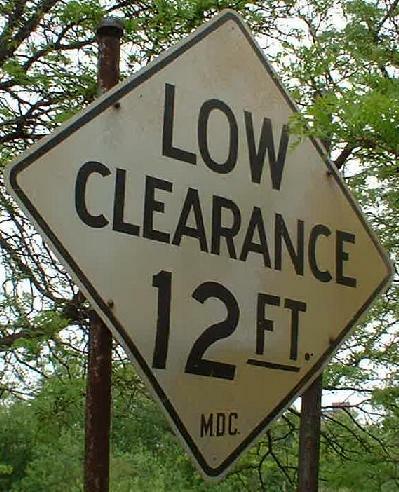 A really old sign on the Western Ave./Arsenal St. ramp to EB Soldiers Field Road, part of a very tightly folded diamond. This was yellow once. 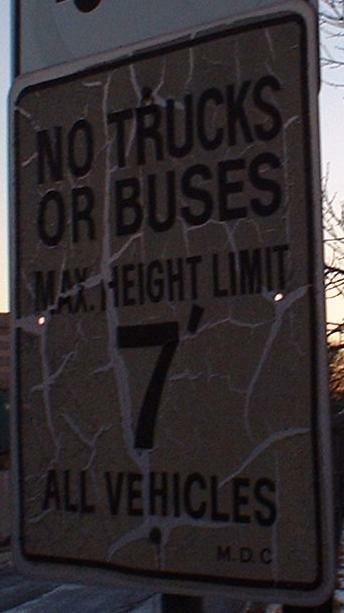 Interesting that MDC spelled this one correctly, but messed up at Leverett Circle with the word "BUSSES" - no kissing on our highways! Two shots of the crumbling median that begins just before the Western Ave. overpass, where Soldiers Field Road finally becomes divided. Rebar is showing through concrete, and the crash barrier has been hit and not replaced. The median, in my opinion, should be replaced by a proper Jersey barrier a foot taller. 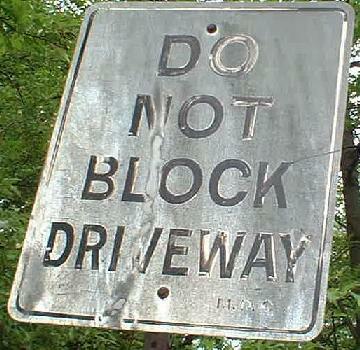 WB at Arsenal St./Western Ave.; being old gives it points, but MDC is still MDC, no matter how it's written. WB on the adjacent MDC bikepath where it ends in a small parking lot. I hate to say it, but trucks don't park to use recreational facilities. 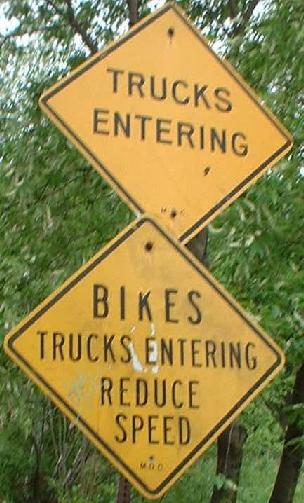 Also, the trucks aren't entering the bike path, the bike path is entering automobile travel lanes. Old sign in another parking well (too small to be a lot) on WB Soldiers Field Rd. EB at Everett St., MDC follows the rules for once on an old sign. 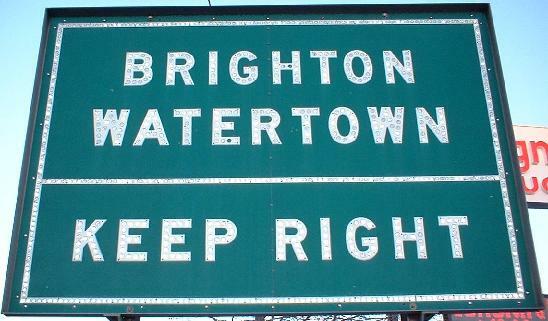 WB, same place, double your fun with a rare Massachusetts jughandle and an old green sign. I noticed no restaurant there anymore, but PAX TV is alive and well.